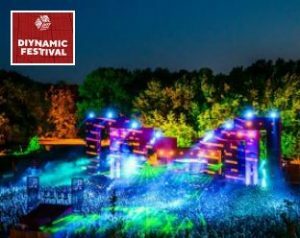 Diynamic Festival Amsterdam is an underground electronic music festival in the Dutch capital. Founded in 2006 by Solomun and Adriano Trolio, Diynamic Music is one of the scene’s most respected labels. Putting on festivals and parties all around the world, Diynamic will make its hotly anticipated sixth annual pilgrimage to Amsterdam this summer. With multiple stages of forward-thinking electronic music surrounded by old growth forest, the festival takes you out of the city and into a surreal, music-filled world.